PAMECA V organized a Conference on “Investigation and Prosecution of Money Laundering Offenses”. 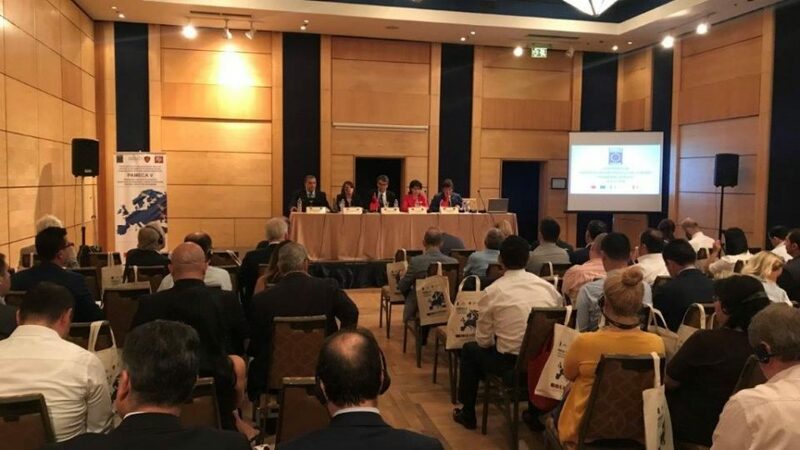 This Conference brought together representatives of Law Enforcement Agencies such as from Financial Investigation Unit, Albanian State Police, prosecutors and judicial police officers to discuss the problems faced in detection, investigation and prosecution of money laundering offences, the current domestic legal framework and future challenges. It served as a platform to discuss among the relevant actors the current status quo regarding the money laundering offences, the day to day work of Financial Investigation Unit in collection, dissemination and analysis of financial information and the common challenges ahead. In the Conference were discussed the problematics encountered so far in the fight against Money Laundering. The International experts invited by PAMECA V introduced for the audience, the international approach in the fight against money laundering and the current EU legislation. The investigation and prosecution of Money Laundering still remains a challenge due to its complex nature. Common efforts and close collaboration of the structures involved will help in having effective and successful investigations combined with the vocational training of these structures altogether.